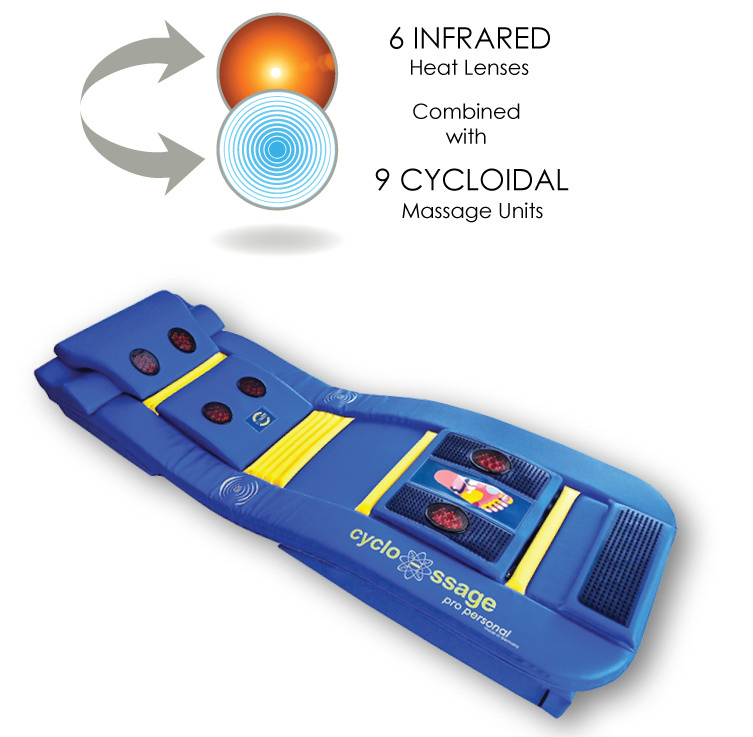 The Cyclo-ssage Massage Therapy System will relax muscle spasm and improve joint mobility providing a viable alternative to medication. Using a combination of oscillating massage therapy and infrared heat the Massage Therapy System will increase blood circulation providing accelerated healing, relaxing muscle spasm and alleviating ache and pain in the shoulder and neck area. The upper back, shoulder and neck can be targeted with strategically placed massage and infrared heat, which can be effectively used to achieve improved joint mobility and pain relief in these specific areas. 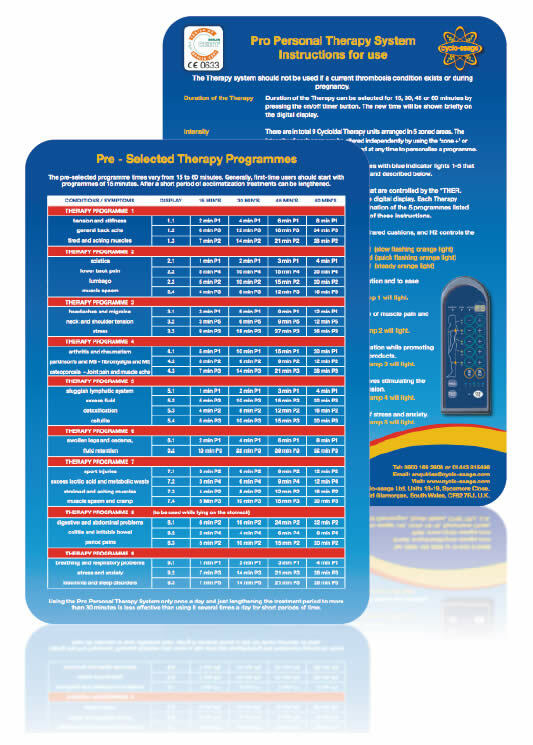 Specific massage therapy programmes can be chosen so the upper back, neck and shoulders receive a combination of multi-directional massage and soothing infrared heat, often providing a viable alternative to prescribed medication.